Kimberley Wells Wins Battle on the Border Stage 1! 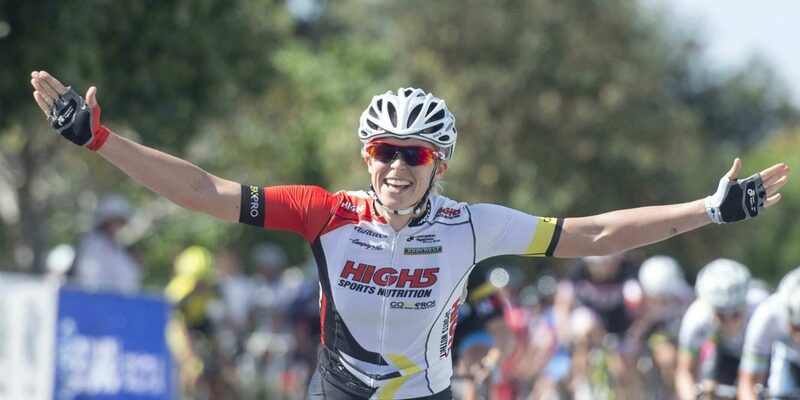 Two-time national criterium champion Kimberley Wells (High5 DreamTeam) has sprinted to victory on stage one of the women’s Battle on the Border in Kingscliff. 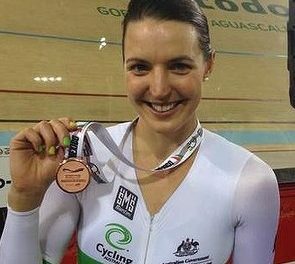 Canberra’s Wells flew home to record her third stage victory in this year’s Subaru National Road Series ahead of reigning team pursuit world champion Ashlee Ankudinoff (Subaru NSWIS NKC) and Queensland’s Emily Roper. “It was a technical finish with a few roundabouts and a really tight circuit with about 450 metres to go. I was fourth wheel coming in, made my move along the back straight and sprinted through the final two corners and I think daylight came second,” quipped Wells who crossed the line two seconds ahead of the peloton. 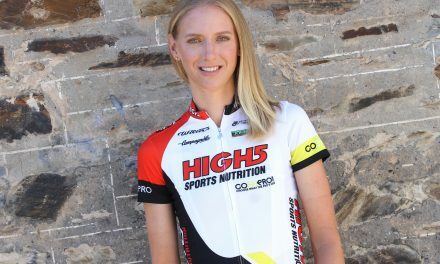 Recently named as the Amy Gillett Foundation’s 2015 Cycling Scholarship holder for 2015, Wells will depart for Europe next month to race with the Subaru High5 Australian Women’s Road Development Team. Wells now leads the Tour by nine seconds to Ankudinoff and 10 seconds to Roper. 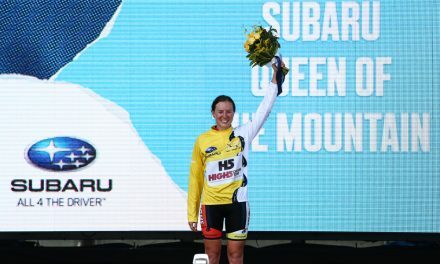 A fast and aggressive 104 kilometre road race finishing at Salt Village saw attack after attack slowly wear the peloton down, and after the day’s ‘Queen of the Mountain’ climb the field was reduced to a group of 20 riders. “I made it over the climb in the front bunch today, which was a big achievement for me. 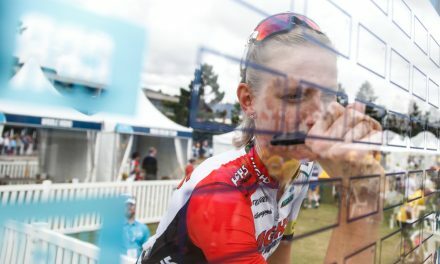 Ash Ankudinoff who was a threat for the sprint was dropped there, but instead of rolling through to keep up a high average speed everyone kept attacking each other which allowed riders behind to catch back up,” said Wells who also picked up time bonus’ winning both intermediate sprints. The Tour continues on Saturday with a 113 kilometre lumpy road race around the hills of Murwillumbah. “It will be a challenge defending the general classification lead, but given my climbing today I’ve got a lot more confidence going into the stage and I’ve got a really good team around me as well,” said Wells.